For this standard, teachers are required to set appropriate student learning goals, to plan, sequence and implement well considered teaching, and to provide the communication, resource and parental needs for successful education. This involves the full cycle of teaching, beginning with diagnostic tasks, progressing through goal setting and delivery, and ending with assessment, evaluation and reflection, which will inform the next teaching process. I recognise that appropriate learning goals with a clear link to and from assessment, are essential in order to achieve targeted learning. This will apply to learning objectives for a single lesson, to a sequenced subject area program, and to longer term or aspirational goals, like social goals. It is a vital element of learning, that what is intended to be learned is relevant and explicit and once experienced, is accurately assessed and reflected on for effectiveness. A great example of personal goal setting for students occurred within my health program, which was based on the You Can Do It! Program (You Can Do It! Education, 2013) currently being adopted by the Australian Scholarships Group. This fantastic opportunity for goal setting was unfortunately missed, however this is something that I definitely will revisit. 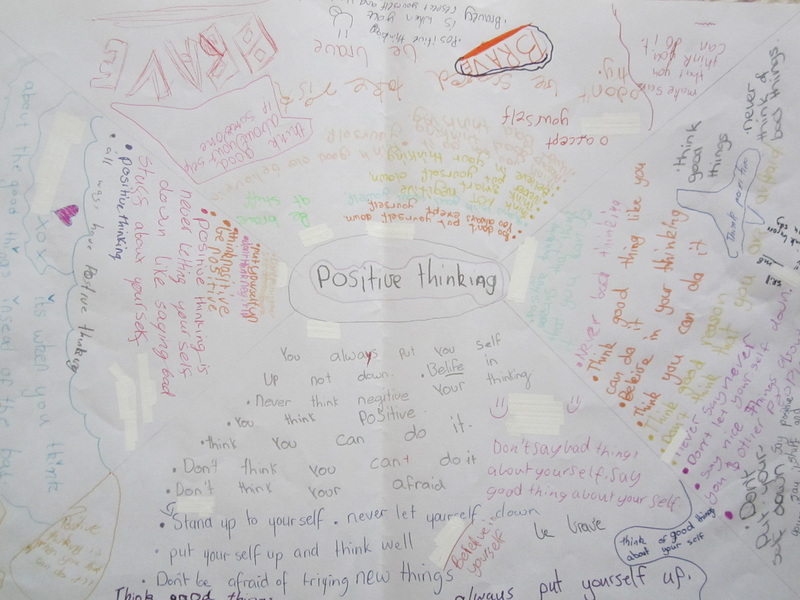 During a health lesson on organisation, I asked the students to first brainstorm what they thought were the most important things for them to do to become more organised. Here our lesson became interrupted by the needs a LOTE play, however what I planned was to use a graphic organiser called a tournament prioritiser, for them to play off the ideas they had come up with in a tennis tournament knockout style, until there was finally one winner most important to them. This would then be adopted as a new personal health goal. 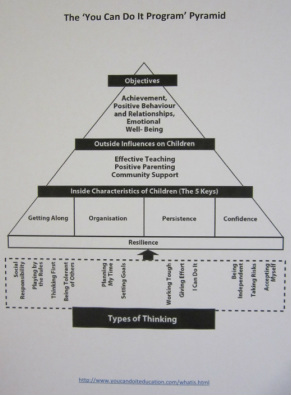 This was a fantastic program to teach and was a good way to consider and explore the 5 foundations of wellbeing, which according to the program are confidence, organisation, persistence, getting along and resilience. 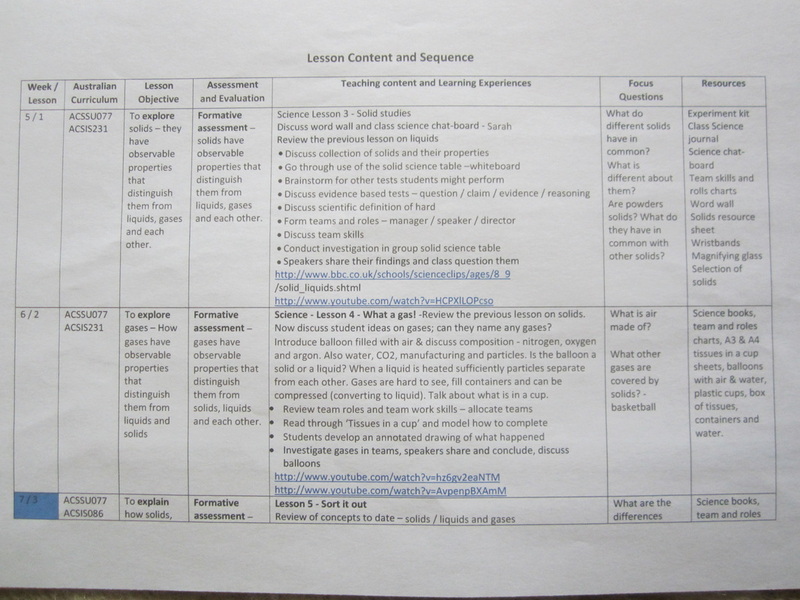 I have provided two work samples from these lessons that clearly demonstrate my ability to utilise varied teaching strategies to deliver learning content (AITSL focus area 3.3, see below). 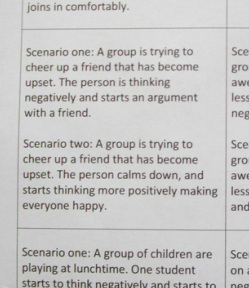 Both are similar group work samples, however the one on confidence is a set group placemat, while the second sample on positive thinking (as a component to persistence) is a round robin. 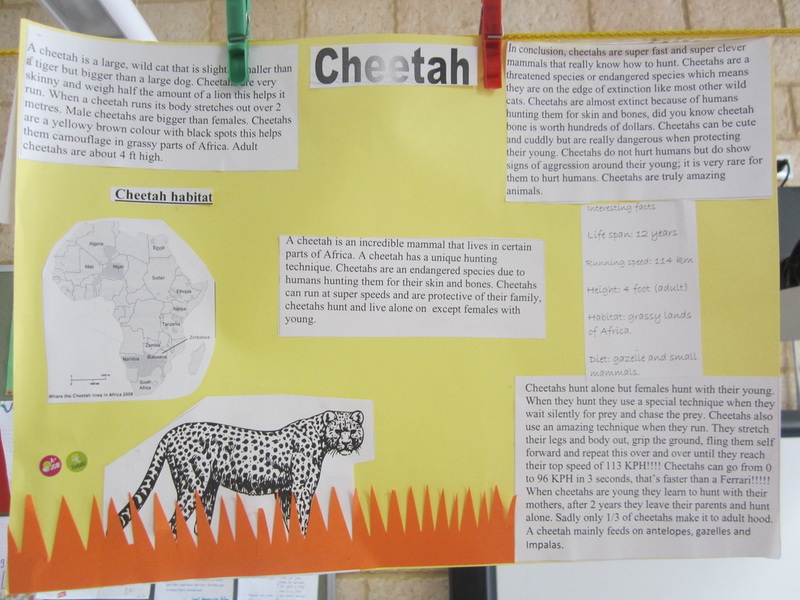 While the second may look messier as multiple students contributed to this work, it was a thoroughly exciting lesson, and learning was definitely achieved by both strategies in different ways. 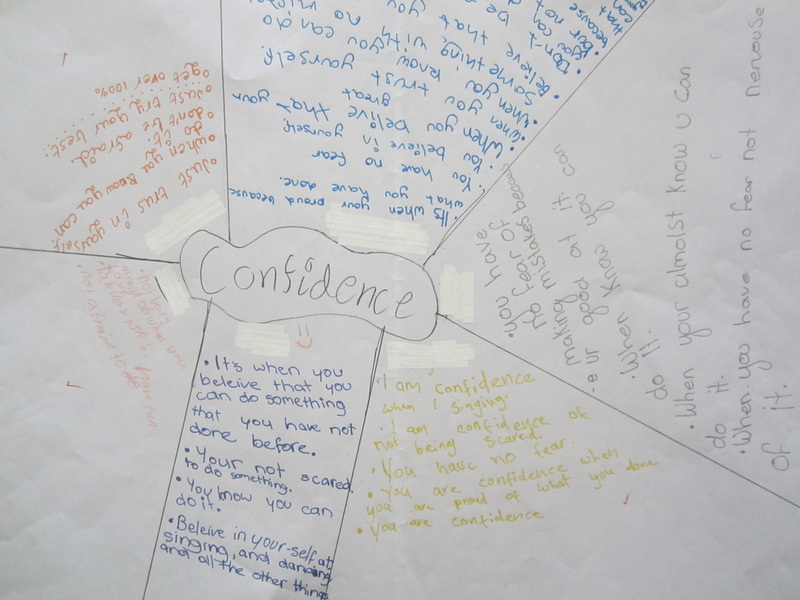 An interesting reflection on the piece on confidence is that this came from a particularly strong group, which I later split up in many of my lessons to share their abilities. In hindsight it would have been good to use this grouping more, to let them capitalise on their success and potential as a group. To close the program, the students enthusiastically presented two alternate drama group scenarios to the class. In developing my lesson sequences and programs, I first fully researched and aligned with existing school programming, which included using a MoneySmart financial maths package (MoneySmart, 2013), Primary Connections for Science (Australian Academy of Science, 2013) and previously established English and History programs. My planning and programming during my practicums were viewed as an outstanding strength. 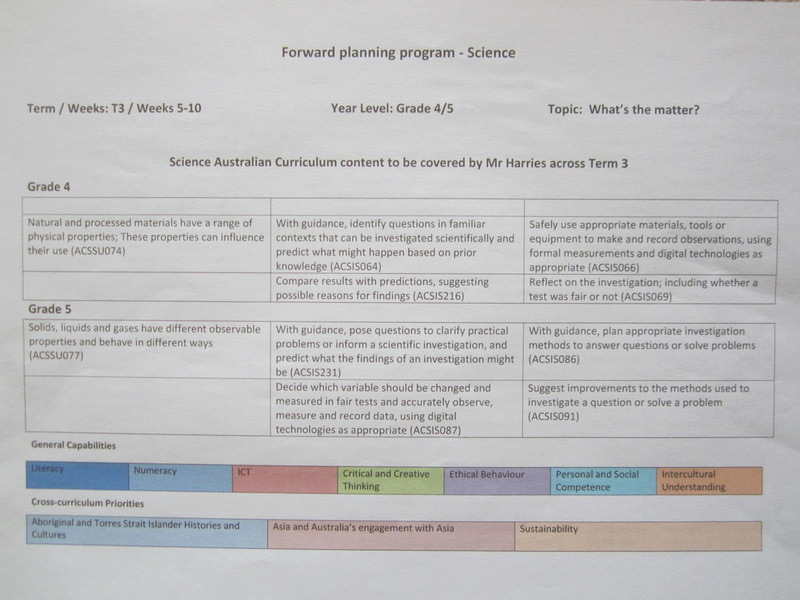 An excellent example of my careful planning and implementation of a program of work is evidenced by my teaching of Science (AITSL focus area 3.2, see below) which although based on Primary Connections, needed much additional content and definition of my own making. Due to my familiarity with science, in each lesson I developed a table of short experiments for the children, to start the lesson in an engaged way, and to demonstrate critical aspects of the topic in real world terms. Some of these experiments included floating a paper clip on water to demonstrate water tension, putting drops of dye in glasses of hot and cold water to demonstrate increased particle movement with temperature, and 'cooking' ice with my portable gas stove to visually demonstrate phase change. At all times these experiments were conducted with emphasis on safety. These science lessons also required explicit teaching on both the team skills detailed in Primary Connections, and science investigative skills, and other teaching strategies were used such as a highly successful group lesson, pooling post-it note definitions of phase terms on the whiteboard. I also taught all science lessons during a previous practical on the topic of light. At this same school I planned, taught and saw to completion two highly successful projects, one a maths data representation, and the other a free choice English descriptive text. With both of these projects, some surprising effort was made by most students, including weaker students, to the extent that they produced well in excess of the volume and quality of content that I had asked for, often at home. 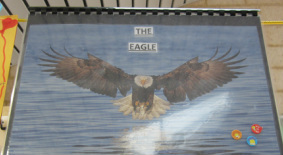 While only required to complete an A3 poster one boy made an entire book complete with binding, and another girl produced her work one week early as she was going on holiday. I view this effort as recognition by the children of the way that I treated them, they were extremely keen to produce good work for me, and hopefully also for themselves. Other experiences relevant to this standard include creating my own research questionnaire for a lesson in history to develop research skills, and significant usage of resources including First Steps (DET, 2013a), and ICT content as mentioned on my page for Standards 1 & 2, a skill strengthened by my personal familiarity with computers. While my experience of involving parents in the educational process is limited, I had one parent give a talk to my year 6 class on her work with immigration, and she was so successful with this, I made an on the spot decision to scrap what I was intending for the next period, and turn the talk into an interactive double period. My action plan for Standard 3, Plan for and implement effective teaching and learning, is to improve my abilities with regard to communication and evaluation. As a calm and softly spoken man I have had to work hard to build the confidence and voice projection required to engage well with a full classroom of students. Although I am now much stronger in this area, I have noticed that when I am not confident I start to lose the depth of my voice. To counter this I will work on actively projecting my voice and gathering calm confidence. I would also like to improve my ability to evaluate assessment outcomes to inform future reporting and teaching, I will do this by redeveloping my assessment and records system to be a comprehensive strategy that I can bring to my next classroom from day one. I will also be sure to use the tournament prioritiser I have discussed above to help my future children set personal goals.